Being Summer here we veered away from tradition except for the ham, got to have a ham, and we had a veritable seafood bounty. 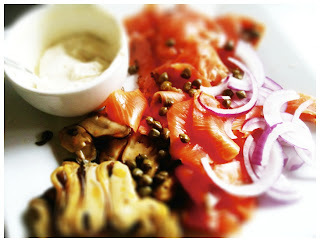 To start, freshly caught and smoked trout, a smoked salmon platter with all the trimmings, red onion, caper and a mustard dip. 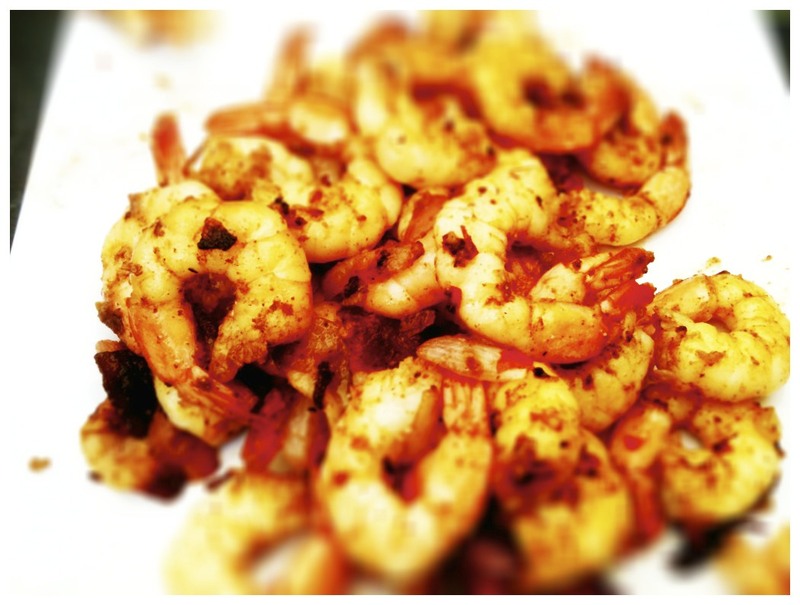 Prawns quickly grilled on the BBQ, little vol au vents filled with chicken, mushroom and thyme ragu. 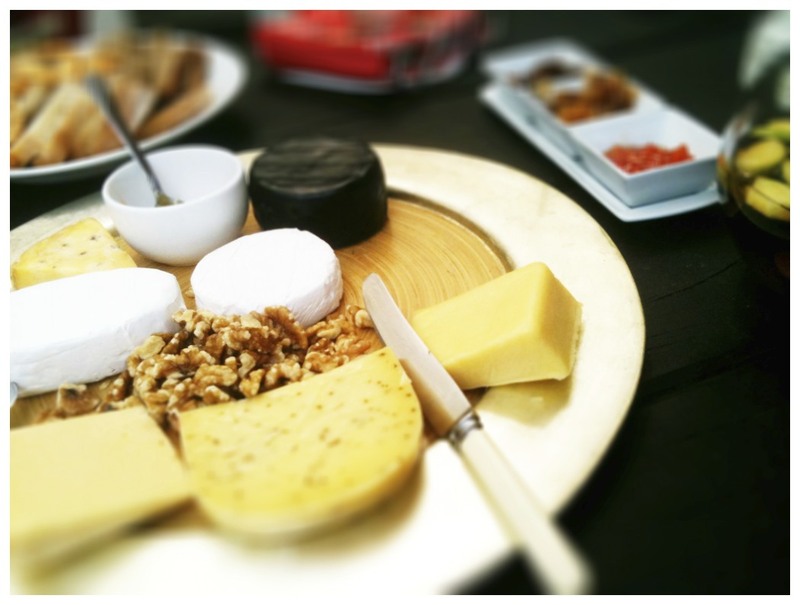 Plus cheese platter with homemade chutneys and relishes and some Orange and Thyme Chicken Liver Pate. Then it was up the coast to Whitianga in the Coromandel to catch up with friends and where I had the pleasure to meet one amazing lady. My friend Ceeann's, Nana...a true inspiration. Almost 95, still living at home, still working a couple of days in the local opp shop (second hand shop), playing lawn bowls, card nights and out to dinner once a month. One truly amazing lady, and having heard about her over all these years it was a real pleasure to finally get to meet her. After all the feasting on far too much good food and wine, and with Hogmanay just around the corner with more indulging to come, on return from my Christmas road trip I was in the mood for light and healthy. I wanted crunch and flavour so this Asian inspired salad hit the spot. 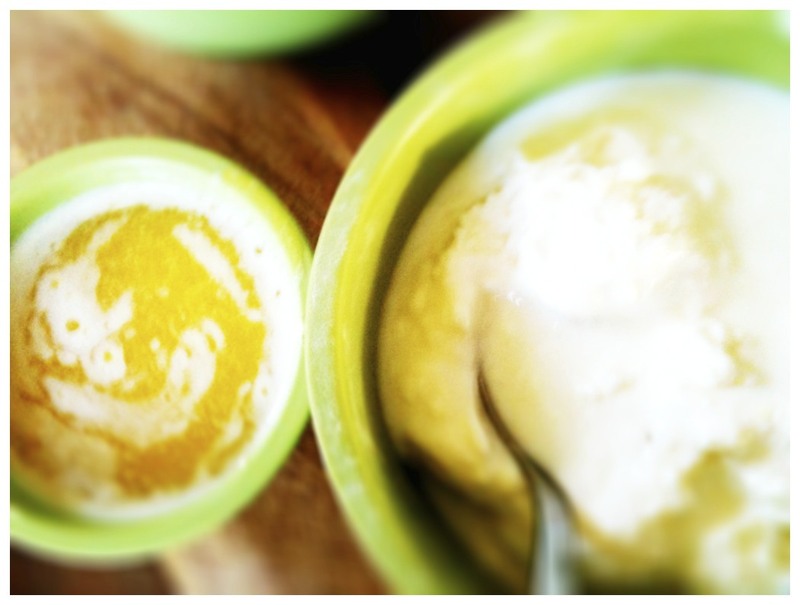 Full of flavour from the marinade and the dressing and a little light relief! You can tweak here to suit your taste or whatever you have on hand, colourful and crunchy works well. For the steak: mix together the soy sauce, lime juice, Mirin, red chilli, ginger and garlic in a baking dish large enough to hold the steak. Coat the steak all over and marinate in the fridge for 30 minutes. 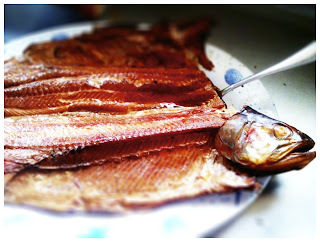 Take it out the fridge about 15 minutes before grilling to allow it to come to room temperature. 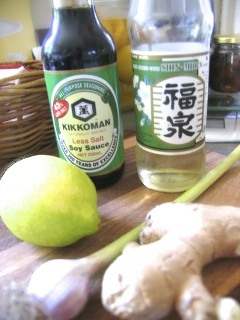 For the dressing: whisk all the ingredients together in a small bowl. Season with salt and pepper, to taste. Let it sit for 10 minutes or so to let the flavours infuse. I used a griddle pan, but a frying pan would also work. Remove the steaks from the marinade and pat dry. Season both sides with a little salt and pepper and grill for 2-3 minutes per side until slightly charred for medium rare. If you are not a fan of medium rare just cook a little longer. Remove from the grill and let the steak rest for at least 5 minutes. Slice into 1/4-inch / 1cm thick slices. 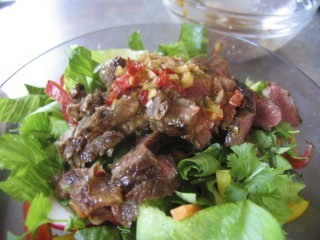 While steak is resting you can make up the salad. 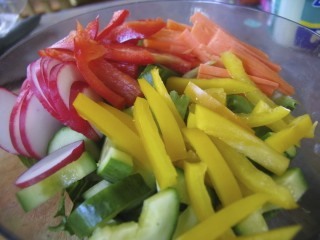 Place all the salad ingredients in to a large bowl. Add the steak and half the dressing. Toss together to lightly coat everything in the dressing. 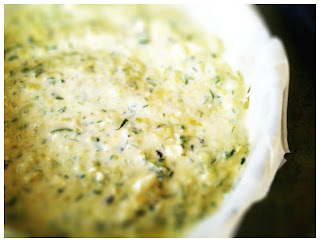 Drizzle the rest of the dressing over the top and serve immediately. Bursting with flavour and colour this salad is full of texture and flavour from juicy steak and crunchy vegetables. 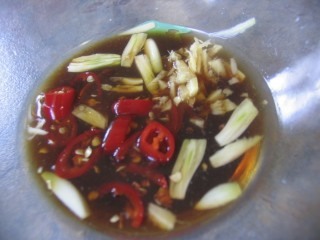 The dressing is sweet with a little heat from the chilli and then the nutty sesame oil rounds it all off. 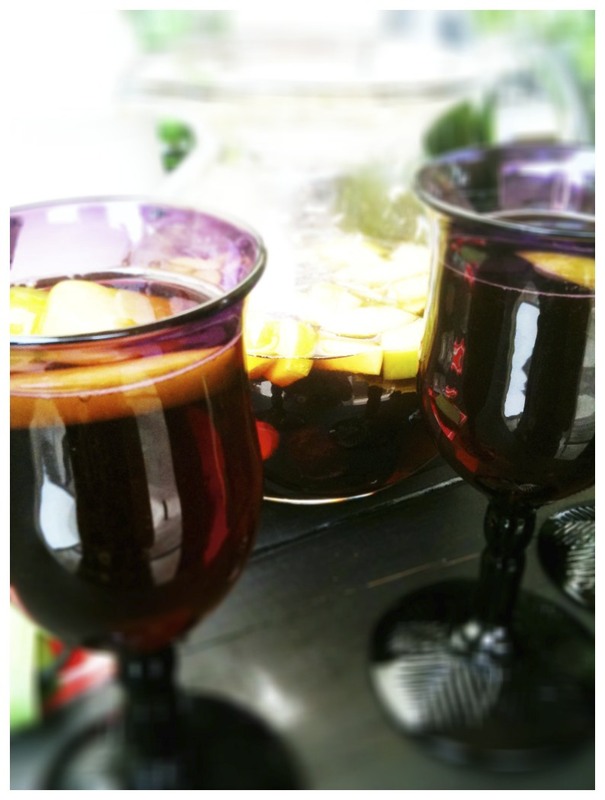 Christmas is almost upon us and if you are looking for something sweet to whip up in hurry these should do the trick. You always need a little something sweet for Christmas day, my preference would almost always be dark bitter chocolate, but I thought that for a change I would head down the white chocolate road. 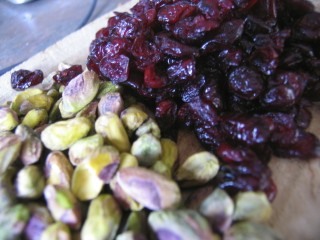 Plus I couldn't resist the thought of how pretty it would all look flecked with some crimson cranberries and bright green pistachios. So yes very much my version of rocky road. 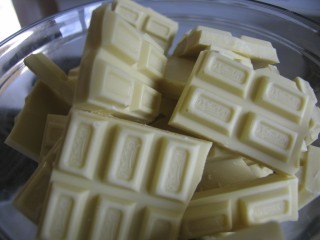 However if you're not a fan of white chocolate, milk or dark would also work well too. 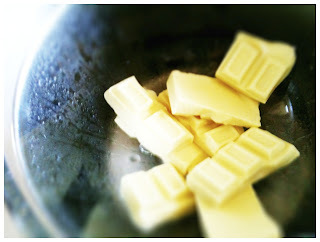 Place the chocolate in a heatproof bowl over a pot of simmering water and cook until the chocolate is melted and smooth. 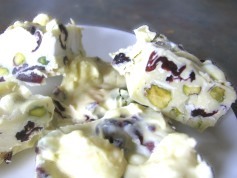 (Note - if using milk or dark chocolate be extra careful to keep the water at a low simmer, as water is chocolate's enemy and will cause it to stiffen) Remove from the heat and add the marshmallows, cranberries and pistachios and stir until everything is mixed well together. Pour the mixture in to a lightly greased 20cm x 30cm baking tray lined with baking paper and place in the fridge for 1 hour or until it has set. 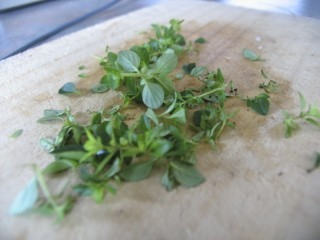 Cut in to pieces and serve, fairly small pieces as it is quite rich. It will also keep well for several days in an airtight container. It is most certainly for those with a sweet tooth! 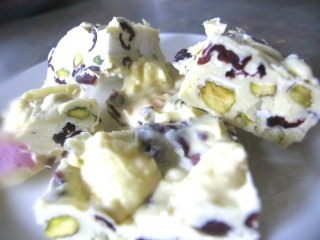 Lots of texture with the fruity cranberries, the crunch of the pistachios and the softness of the marshmallows. Next time thinking maybe milk chocolate, cranberries and some toasted almonds and maybe a drizzle of extra dark chocolate over the top. Perhaps as a little chocolaty treat for Hogmanay, so check in next week. Reckoning they will go down a treat on Christmas day. On Christmas wishing you all a very happy one! 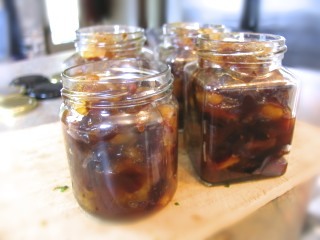 A very rainy day in Auckland today so back in to the kitchen and today Christmas Chutney. It will be delicious with ham or on turkey sandwiches, and of course with cheese. It would also make a lovely edible gift. 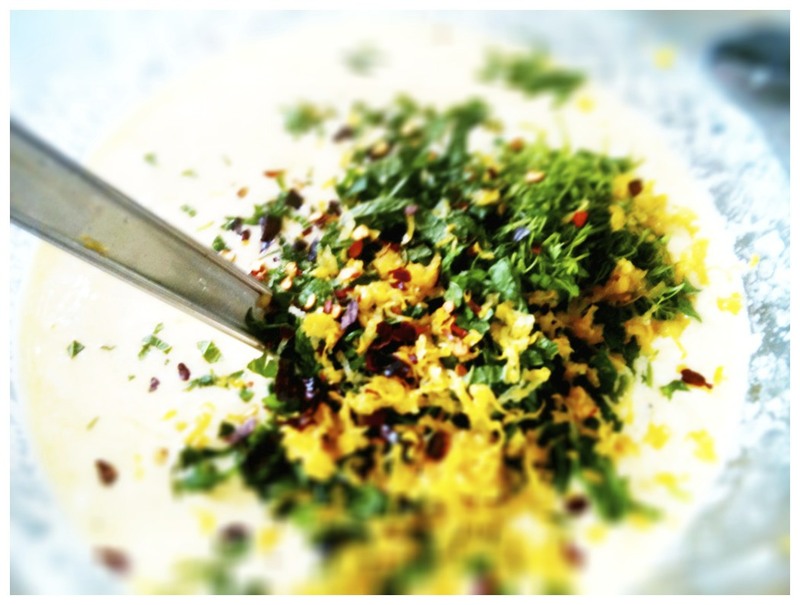 Chutney is incredibly easy to make, it is basically a one pot wonder. Put everything in a pot, let it simmer away and after 45 minutes or so you will have chutney. The word chutney is derived from the East Indian word chatni, meaning "strongly spiced" and is described as a condiment which usually consists of a mix of chopped fruits, vinegar, spices and sugar cooked into a chunky spread. Most chutneys are on the spicy-hot side, but it's easy to adjust the heat to suit your own taste if you make your own. Chutneys are traditionally served with curried foods. 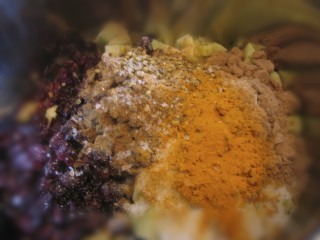 There is a myriad of possible combinations of ingredients for chutney. Most chutneys have a fruit base, but many non-sweet vegetables can also be used. 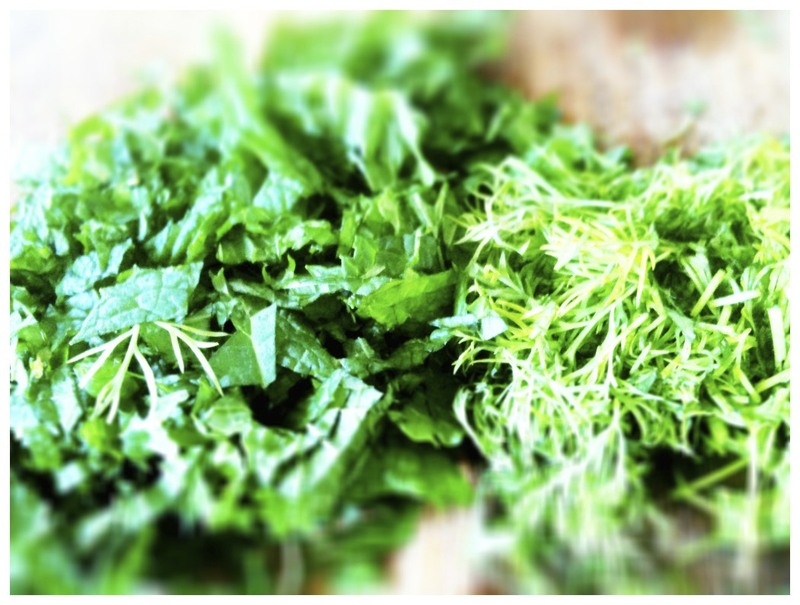 Once you get the basic concept down, you can experiment with any number of fruits and vegetables. Use firm-fleshed, under-ripe fruits such as green mangoes, bananas, peaches, apples, nectarines and apricots. Rhubarb and firm or under-ripe tomatoes also work well, I have a great green tomato chutney that will probably make an appearance at the end of the tomato season. Dried fruits also work really well in chutneys as they retain their texture, yet contribute a tart flavor offset by the sugar and spices. So if you want to spice up your ham and turkey this year give it a go. 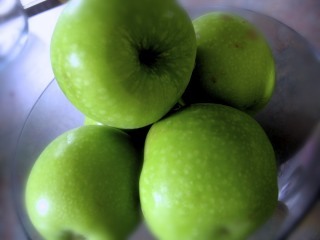 Slice the apples into halves. Slice the halves length ways into smaller pieces, roughly 1/4-inch width. 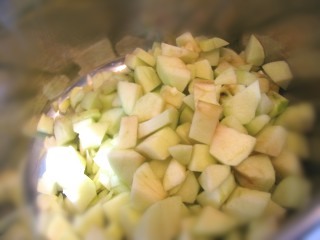 Place the apple pieces and finely chopped onion into a saucepan with all the other ingredients. Heat the mixture until it is simmering quickly. 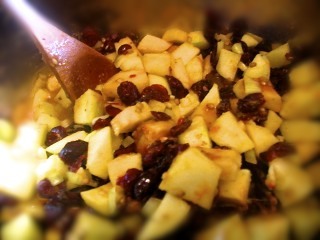 Reduce the heat to low and cook for 45 minutes, or until the chutney has thickened slightly and the fruit has become soft. This is a really pretty chutney, thanks to the turmeric the apples take on a beautiful golden hue. The apples give a lovely sweetness, then you get a little tartness from the cranberries and to finish you get all those wonderful spices with a little warmth from the ginger and chilli to round things out. 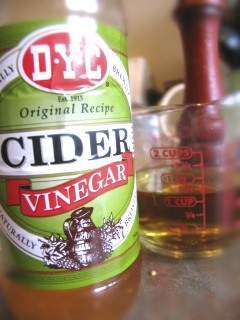 Yes this would indeed be a great companion to ham or turkey. Even better possibly, with a nice creamy blue cheese and a glass of pinot.....mmmmmmm! Who can believe it is only 1 week until Christmas. Most certainly time to get in to the festive spirit and some Christmas goodies cooking so a bumper weekend of cooking and baking coming up. Being half way around the world from family I will be spending it with friends in Te Puke, fellow foodies so it will be a feast to remember. Te Puke is in the Bay of Plenty over on the East coast and famous for kiwi fruit. Captain James Cook was the first documented European to visit the area and he named the area the Bay of Plenty as he thought it looked well populated and very fertile. A combination of the climate and soils in the area has always made Te Puke a popular area for horticulture. The first orchards planted were apples, pears, oranges, lemons and grapefruit. And eventually a few Chinese gooseberry. During World War Two, American serviceman in New Zealand were introduced to the Chinese gooseberry and enjoyed it so much that this encouraged more plantings. In 1952 the first exports were made, and in 1959 the name “Kiwifruit” was introduced. Since then kiwi fruit have flourished in the area, the kiwi fruit capital of New Zealand you could say. So in preparation for Christmas feasting let the cooking begin! First up a new variation on my pate. Giving it a little festive flair with a little splash of Cointreau and some orange zest. Clean the chicken livers and trim out any sinew. Heat half the butter in a frying pan and add the onion, garlic , thyme, bay leaf and season well with salt and pepper - don't be shy with the seasoning. 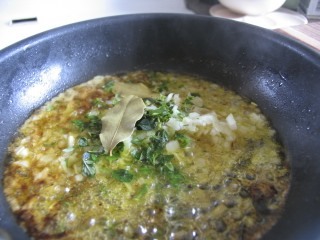 Cook slowly over a low heat until all cooked down and could be easily mashed with a fork (except the bay leaf). 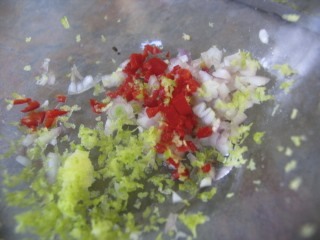 Remove the bay leaf and put the onion mixture in to a food processor. Reheat the saute pan with the remaining butter. Add the chicken livers and season well. Cook gently until the livers are just pink in the centre, but be careful not to let them brown. 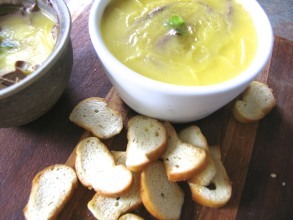 Using a slotted spoon, add the livers to the food processor with the onion mixture. Add in the zest of the orange. 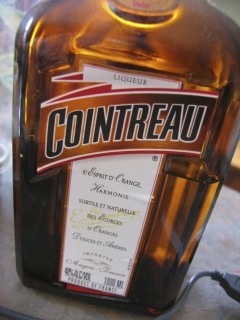 Increase the heat, add the Cointreau. Let it bubble up for a minute or 2. Put everything in to the food processor. Season again, yes again it does need it I promise. 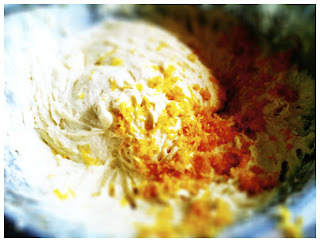 With the food processor going, slowly pour in the cream. Process for a good 4-5 minutes until the pate is very smooth, scraping down the sides to make sure it is all combined. You really do want a lovely smooth pate. 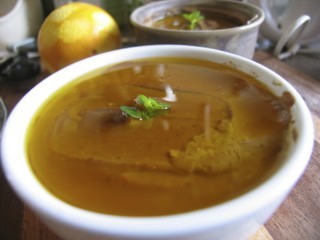 Spoon the pate in to serving dishes, I like to use 2 to 3 little pottery bowls that can just be taken straight out the freezer, defrosted and then they are ready to go straight to the table. Cover the top with plastic wrap, carefully push it down on to the surface to completely seal out the air, refrigerate or freeze. This time around I also decided to top and protect with a little clarified butter. Simply melt the butter over a low heat without stirring and let it cool. 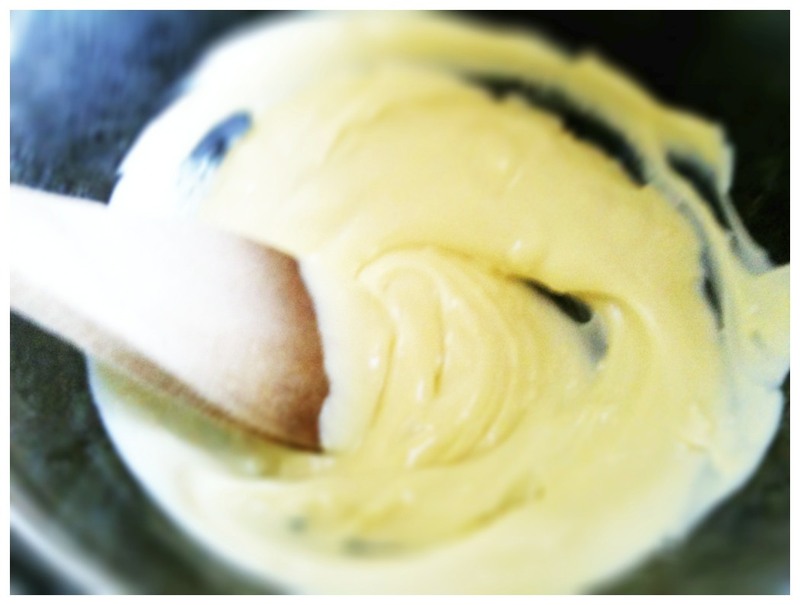 Carefully spoon off the clarified butter leaving the solids at the bottom of the pot. 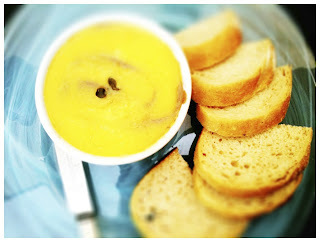 Smooth, decadent and with a lovely citrusy sweetness from the Cointreau and orange zest. Serve it up with some crunchy crostini or some fresh crusty bread. it will certainly make for a tasty little nibble on Christmas day. 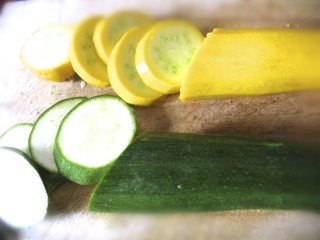 Some beautiful yellow and green zucchini were behind zucchini inspiration #3. I am sure some of you here in NZ are now entering that stage where you can barely keep up with these prolific producers. I was so far behind getting mine in the ground that I am not quite there yet, but had some in my veggie box this week so thought I'd get a head start on what to do with the imminent bounty. 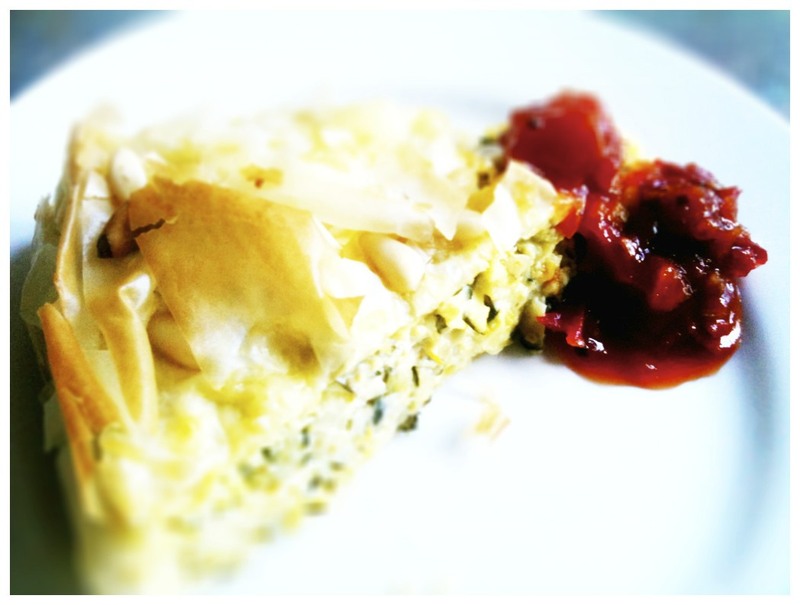 I love a quiche but felt like something lighter so thought what can I do with filo? So I came up with this concoction. 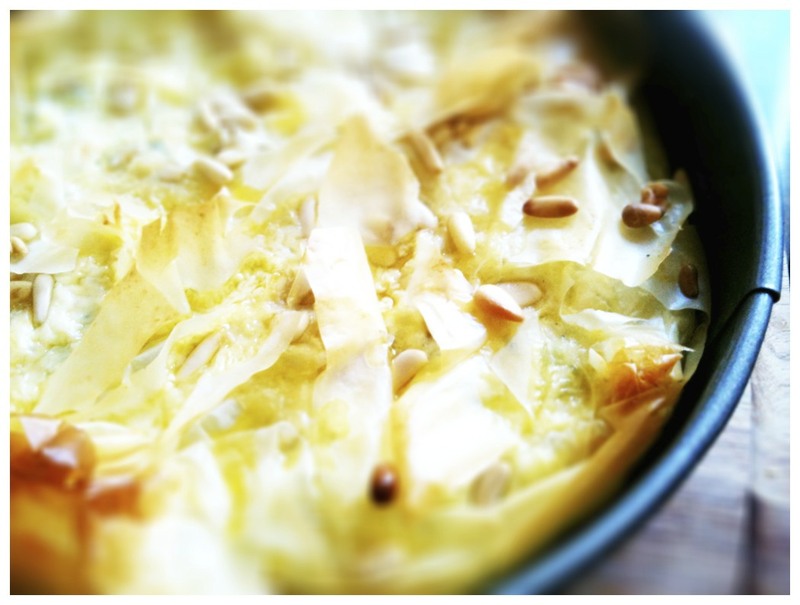 It makes a light alternative to quiche and would make for a tasty lunch with a little salad on the side and perhaps even a nice chilled glass of chardonnay, preferably on a sun drenched deck somewhere. Coarsely grate the zucchini. 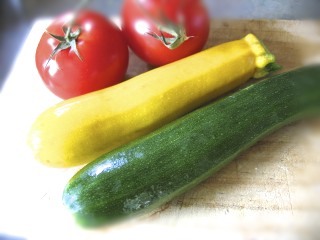 Heat the olive oil in a frying pan and cook courgettes and garlic for 5 minutes, stirring regularly on a low to medium heat, really just to soften a little and to infuse with the garlic rather than to fry. Season with salt and pepper. Remove from the heat and set aside to cool in a sieve over a bowl. 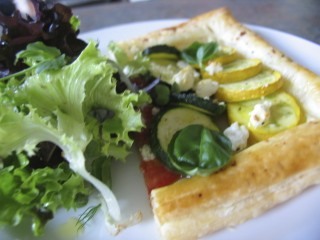 Make sure to squeeze out all the excess water, you don't want a soggy tart. 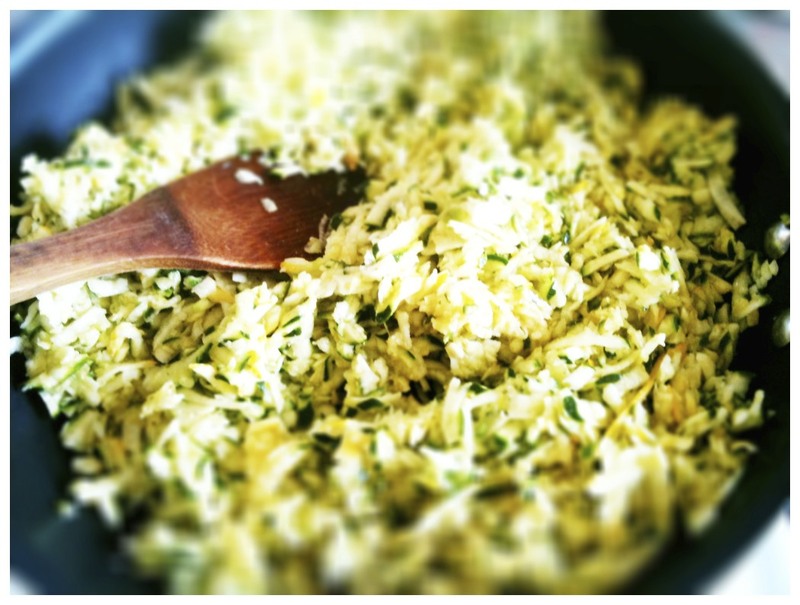 Combine the buttermilk, cream, eggs, dill, mint, lemon , chilli flakes, mustard powder and feta in a bowl and add the cooled zucchini. 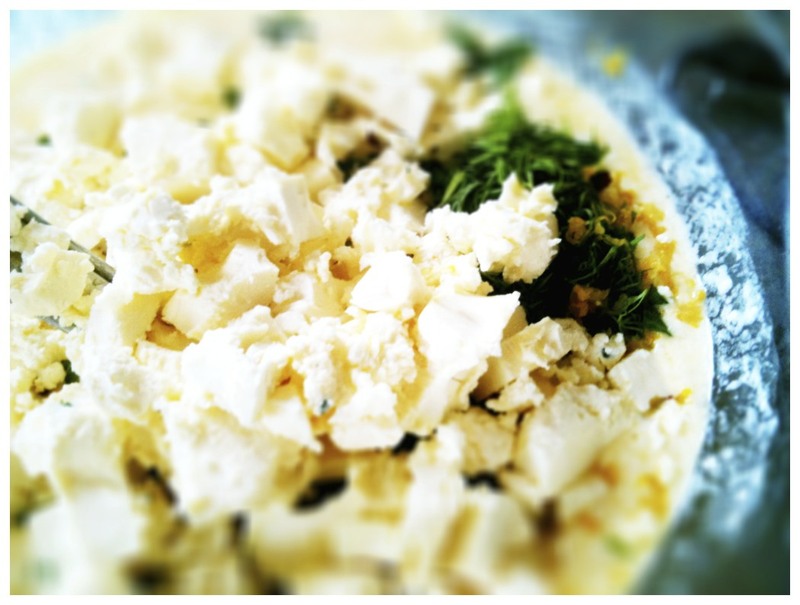 Season with just little salt and pepper as the feta is already quite salty. Taking one sheet of filo pastry sheets, brush it with melted butter and then place in a 24 cm spring form baking dish. Repeat until 6 sheets have been used and the base and sides of the pan are well lined. 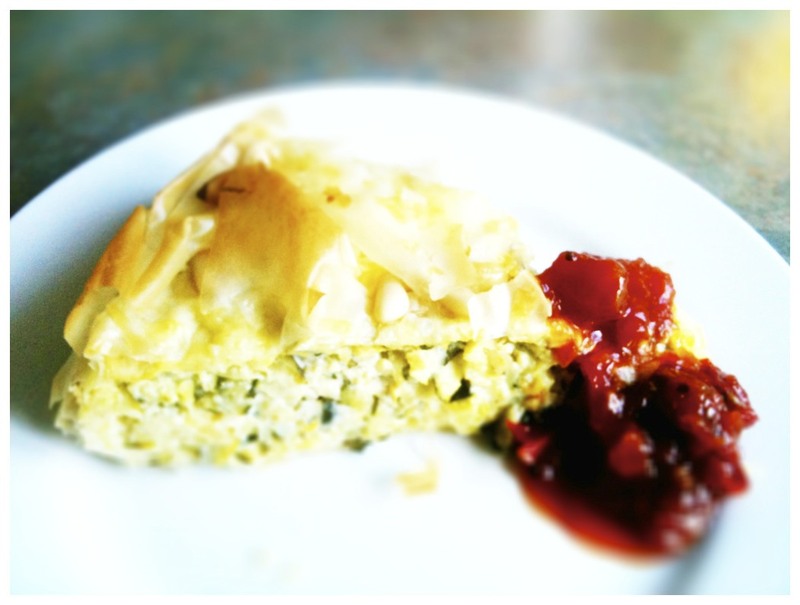 Pour the filling into the base, loosely fold over the excess pastry and tear the remaining sheet into rough pieces. 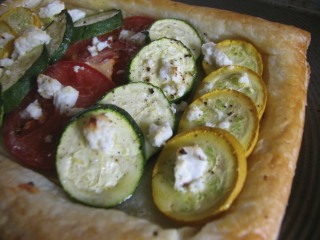 Scrunch the pastry pieces and scatter over the top of the tart. 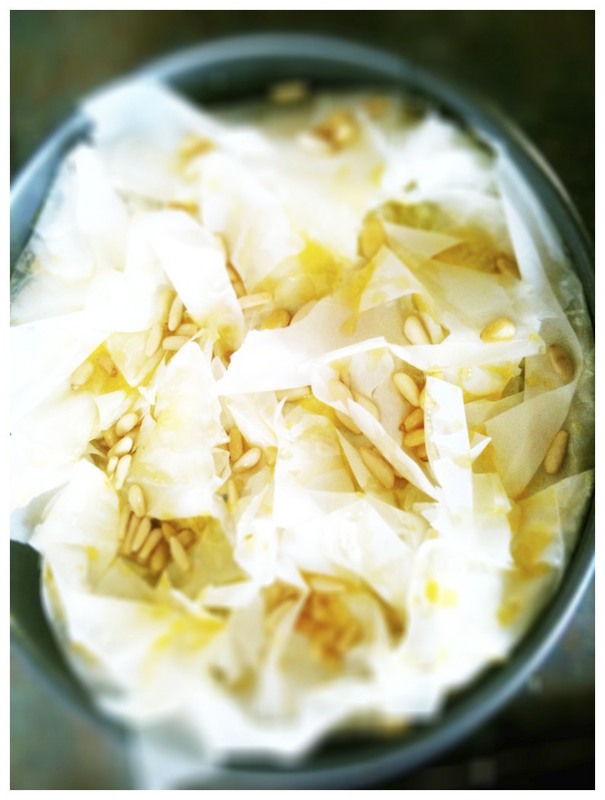 Drizzle with the remaining butter and sprinkle with pine nuts. Bake for 30 - 40 minutes until the pasty is golden and the filling is set. 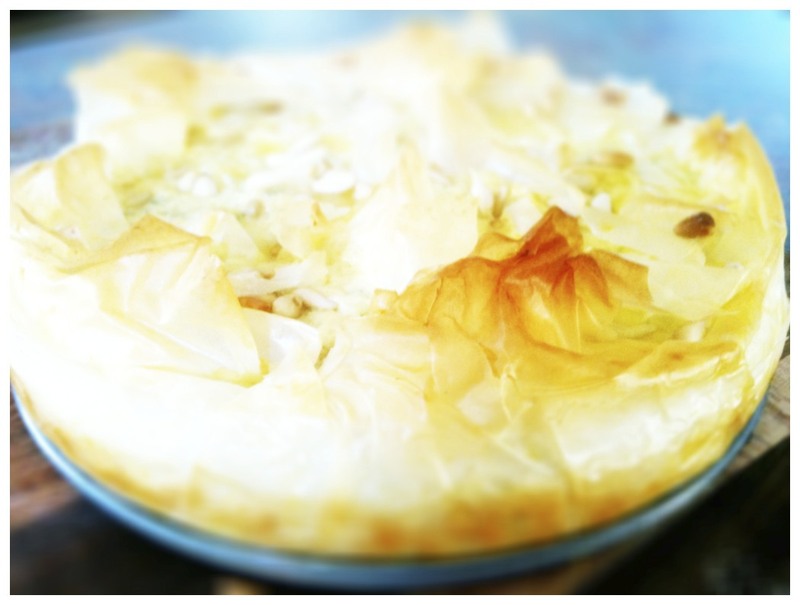 If the pastry or nuts become too dark then loosely cover with foil. Remove from the oven and let cool slightly or to room temperature depending on your preference. I like the Italian way at room temp, but then my Mum likes it hot, so go with your own personal taste. Just let it settle for a little before slicing. Serve with a little salad and a nice chilled glass of chardonnay. 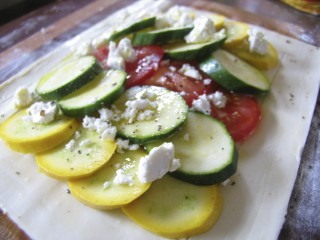 Crispy on the top and a little nuttiness from the pine nuts and then the creamy salt feta and then the freshness of the dill and the mint and a little heat from the chilli, all wrapped around the zucchini. This would make a great picnic dish too and will keep in the fridge for a day or 2. Just crisp up in the oven for a few minutes. For a variation you could add some crispy bacon or pancetta or blue cheese instead of the feta and herbs. 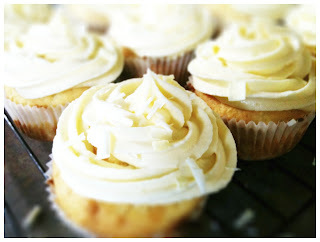 Lemon and Ricotta Cupcakes with White Chocolate Buttercream Frosting. My baking journey continues, maybe it is just that time of year with Christmas around the corner and the desire for bountiful quantities of delicious home baked goodies. 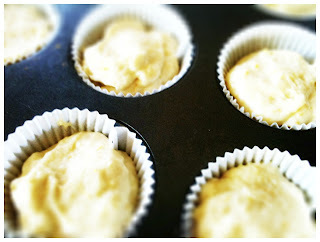 I came across these delights on Matt Bites and just couldn't resist them as my first foray in to cupcakes. Loved the idea of the tartness of the lemon and the sweetness of the chocolate and was curious to see how the ricotta would work. Given this is baking I followed the recipe to the letter, the only exception, lemon extract which I couldn't find and didn't want to use fake. I was so excited and proud to see these little babies rising wonderfully! The sweet smell of success and for a first attempt I think they were pretty darn good. 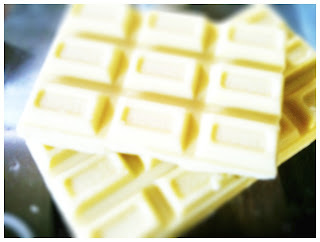 4 ounces (112 gr) white chocolate, melted. 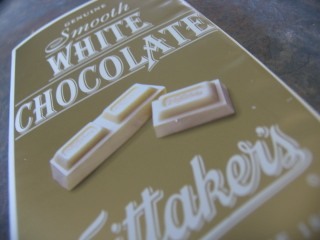 I used Whittaker's. In a mixing bowl, sift together the flour, baking powder and salt. 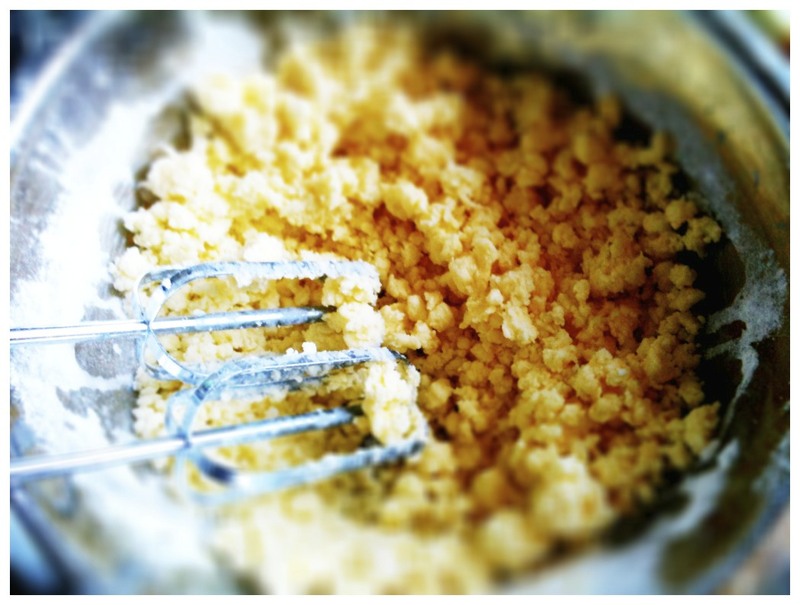 Set aside and in a stand mixer or with a hand mixer beat together the sugar and egg until light and fluffy, about 3 minutes. I even timed myself! With the motor or speed on medium-low add the ricotta, melted butter and buttermilk to the sugar mixture and begin adding the flour mixture to the sugar mixture in thirds, scraping the bowl down after each addition until fully incorporated. 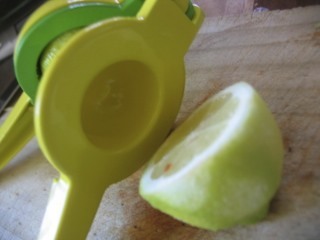 Gently fold in the lemon extract, zest and juice and stir gently together. Line each cup with paper liners and fill each about 2/3 of the way with batter, to allow them space to rise. 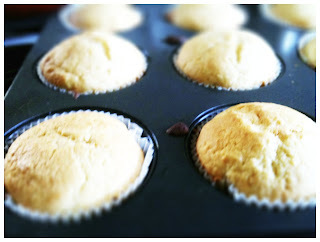 Place cupcakes in the oven and bake for about 20-25 minutes or until light golden brown and a toothpick comes out clean when inserted into the center of the cupcake. For the frosting, place the sugar and butter in the bowl of a stand mixer and begin beating on low speed until just combined. About 2 minutes. 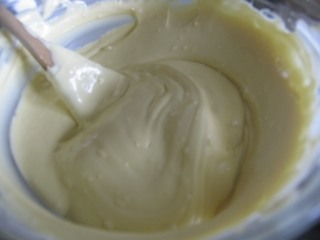 Add the cream and turn the speed to medium-high and continue beating the mixture, until smooth. Reduce the speed to medium and slowly drizzle in the melted chocolate and fold old in the vanilla until fully incorporated. 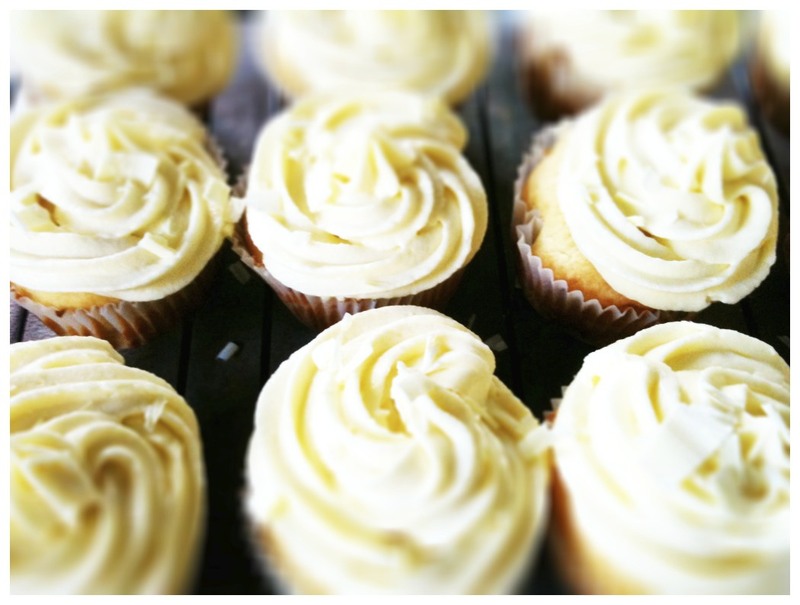 Once the cupcakes have cooled, place the frosting into a piping bag with a star tip and pipe a small amount of frosting onto each cupcake or a lot! I put on what I would consider quite a lot and I still had some left over. Top each cupcake with a sprinkle of white chocolate shavings and serve. They rose beautifully, even in my old and somewhat decrepit oven, so I would highly recommend this to any cupcake novices like myself. I love the texture, light but with an almost doughnut like texture. The lemon really comes through and plays off against the sweet and rich frosting. 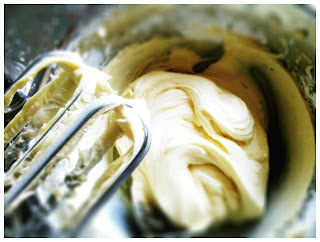 And the frosting, goodness I don't think decadent even begins to do it justice. I am looking forward to perfecting my frosting technique, there is something strangely satisfying about using a piping bag full of frosting. These went down an absolute treat in the office, so if you haven't made cupcakes before, go on and give them a go. Everyone deserves a little cupcake of lemony, chocolaty decadence.